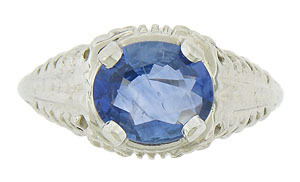 A fabulous 1.66 carat oval cut sapphire is presented in the face of this captivating Art Deco engagement ring. 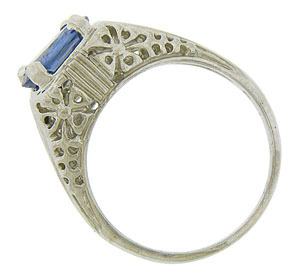 Abstract floral cutwork decorates the sides and shoulders of this beautiful ring. 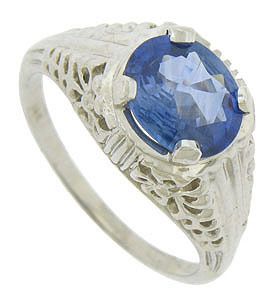 The ring is fashioned of 14K white gold and measures 9.62 mm in width. Circa: 1920. Size 6 1/2. We can re-size.